'Be still' is Kim Klassen's mantra in her My Still Sunday Class, a 16 week online still life photographic course. Kim invites you at the start to make time for yourself, by possibly giving up something else in your life, even if only for a while. She guides you through the process of taking photographs and examining how light falls on objects, using either a mobile phone, or a DSLR. Kim's photographic style is gentle, soothing and moody and transports you to a quiet place of contemplation and peacefulness. You want to be in her photos, body and soul. Visit her website and her @kimklassen IG feed to see exactly what I mean. I heartily recommend Kim's photographic course. It is self-paced and you can dip back in at any time. As you head into a new week, I'd love to hear about who your photographic gurus are! For the exercise 'one thing, three ways' on Steller Stories. Amanda @smallacornsamanda, who owns Small Acorns and is the judge for #theperfectlyimpefectseries IG competition, has made her selection. 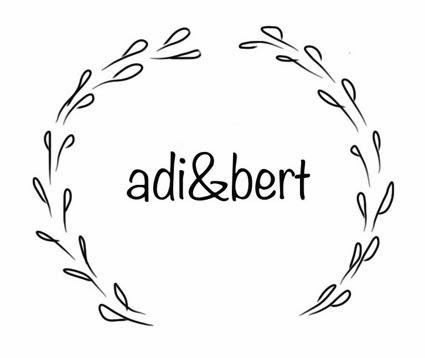 From her blog and IG posts I know how Amanda loves flowers and the rustic, so it's not surprising to see that her selected winner and four special mentions all have botanicals and a vintage vibe as a theme. Drum roll please .... our winner is: @jannelford Well done Janne, it is a beautiful capture and a picture of simplicity. 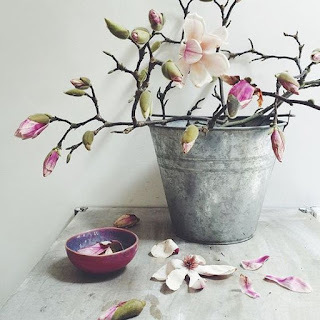 "I adore everything about this image - the beautiful magnolia branch in the rustic, simple bucket; the fact that it’s still flowering, but also dropping from the branch at the same time; the chippy tabletop; the lovely handmade bowl adding a little contemporary freshness into the vintage mix. A little pink and the soft light. Simple, and perfectly imperfect all at the same time." 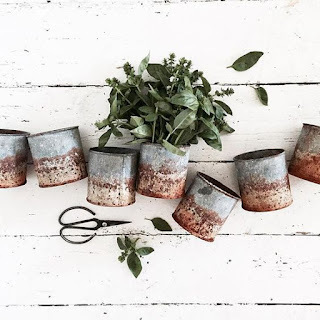 "I love the contrast between the appealingly rusty tins and the lush freshness of the just picked basil. Perfectly imperfect on every level." 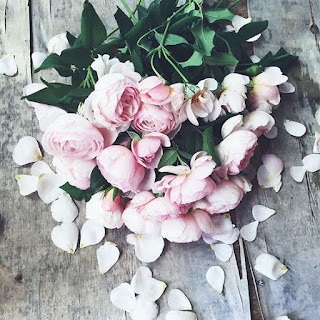 "What’s not to love about a huge huge bunch of blush pink roses that are just on the turn - that point where the petals drop but still look plump and soft, and the fragrance is intoxicating. Nature at her perfectly imperfect best." 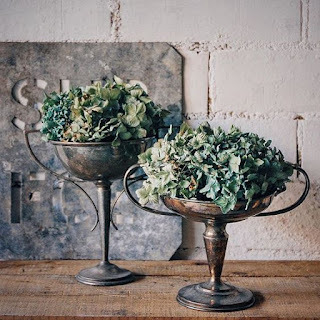 "I love using vintage items in unexpected ways, and using wonderful old trophies as vases gives them a whole new lease of life. And the hydrangeas are that gorgeous green and just on the fringe of perfect - not yet dry, but no longer lush either. Beautiful!" 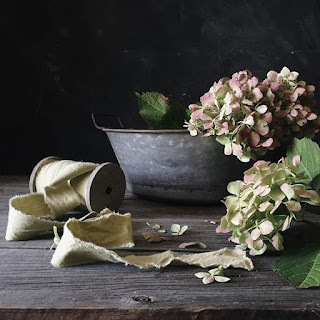 "The beautiful mood captured is stunning; I adore the hydrangeas which have the perfect antique feel to go with the old zinc wash basin, and the wooden spool of torn linen is magical. Truly beautiful."